The Belt and Road (B&R) initiative has achieved some success and gained some international influence, but it’s been a tough process. Despite the considerable amount of resources invested, the positive economic and political effects are still limited. The initiative has also encountered some criticism on debt issues, investment efficiency and sustainability. The B&R initiative has three goals: infrastructure, capacity cooperation and the yuan’s internationalization. There’s been some progress on the first two goals, but the process of yuan internationalization has been slow. In the next round of global governance restructuring, China will have to pursue a situation that’s appropriate to its financial power. Compared with developed economies such as the US or EU, China still has far to go. It is possible to form a new system by changing the rules of settlement currencies in international trade. The yuan’s internationalization will have to be a driving force amid the changes. The financial model that serves infrastructure construction is usually one of regional development financial institutions. That’s why the Asian Infrastructure Investment Bank has drawn so much attention. More countries are starting to use the yuan as a settlement currency, but the bigger goal of the yuan’s internationalization is for it to be an investment currency in cross-border capacity cooperation and have a place in global capital-asset pricing. 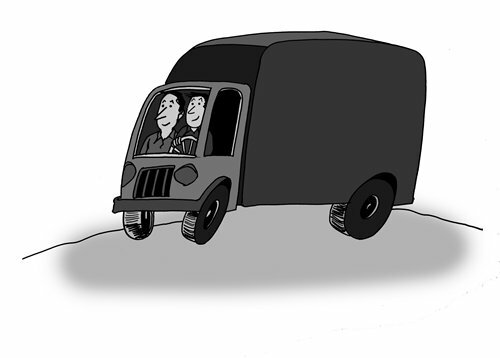 The B&R initiative shouldn’t solely count on State-owned enterprises. 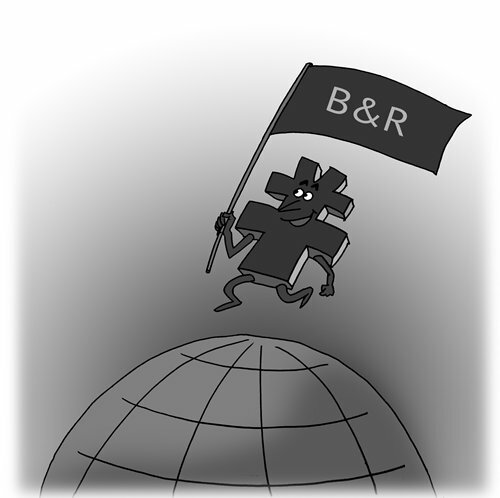 Private companies, the financial sector (including the stock market and the yuan as international investment currency) should all play roles supporting the B&R initiative. Globalization implies that cross-border capacity cooperation is the optimal allocation of factors of production on the global level. Direct financing and multi-currency financial services are essential financial infrastructures. They are the foremost problems to solve in dealing with cross-border capital flows, and they are issues that the Chinese monetary authorities and financial regulators should work through. China’s comprehensive strength has grown substantially since the beginning of reform and opening-up. After the US started a trade war, however, some financial experts began to panic. Their pessimism about a global yuan is overblown. China should also avoid purely relying on State-owned financial institutions to push the yuan’s internationalization, which exemplifies the mindset of a planned economy. Mixed-ownership financial institutions that are better aligned with market principles are supposed to play a bigger part in globalizing the yuan. A workable approach is to start with trade settlements and financial investment in countries and regions along the B&R route, especially neighboring economies where the yuan is readily accepted. Private capital’s enthusiasm for international finance can be tapped to create a new form of mixed-ownership banks for cross-border trade, meeting the need of businesses for cross-border financing, leasing and factoring services. That’s how China’s financial “soft power” can be nurtured. Small-scale trade and investment services that don’t pique the interest of big banks could be handled by border trade banks working in conjunction with regional centers for foreign exchange settlement. Regional foreign exchange settlement centers should be set up in Northwest China’s Xinjiang Uyghur Autonomous Region, the three northeastern provinces, and Southwest China’s Yunnan and Guizhou provinces, reaching out to Central Asia, Russia and Southeast Asia. Additionally, the central bank should play an active part in supporting cross-border financial services and being responsible for the costs of foreign exchange risks. As the B&R initiative shifts from building infrastructure toward boosting industrial capacity cooperation, the central bank needs to make effective use of China’s forex reserves. That doesn’t mean using the reserves to cover foreign exchange conversion losses. Instead, the central bank could use financial instruments such as currency swaps to help in managing the currency risks commercial banks and other financial institutions may face during the yuan’s internationalization. A pyramid structure of forex risk diversification among commercial banks and the central bank could encourage commercial banks and investment banks and other financial institutions, to get involved in globalizing the yuan. It’s a key time for the B&R push, and China should have a strategic plan to let a globalized yuan lend financial support to the initiative. The article was compiled based on a report by Beijing-based private strategic think tank Anbound. Over 90 percent of mobile apps gained permissions to access users’ private information in the first half of 2018, according to a report recently released by the Tencent Research Institute and the Data Center of China Internet (DCCI), Xinhuanet.com reported. Statistics indicate that about 99.9 percent of Android apps obtained private information from their users in the first six months of this year. The figure for iOS apps also rose dramatically from 69.3 percent in the first half of 2017 to 93.8 percent this year. Of them, game apps saw the biggest increase in gaining access to users’ private data, from 43.1 percent in the second half of last year to 88.9 percent in the first half of 2018. As key data, location information was required by 89.3 percent of apps in the first half of 2017, and the figure saw an increase to 95.9 percent this year, said Hu Yanping, founder of DCCI, adding that apps requiring access to users’ contact data also climbed from 43.7 percent to 61.2 percent during the same period. Although relevant laws and regulations have been introduced in China, many apps are still suspected of overusing their authorization to collect user data, said Zhou Ye, senior mobile security researcher of 360 Vulpecker Team. Huang Xiaolin, a director of Tencent, also stressed that internet companies should self-discipline when it comes to the collection of information, usage of information and notification to the users. “The customer just left,” said Kraig Baumann, an American ginseng producer in Wisconsin, after he lost a potential buyer due to the recent tariff policies issued by the US government. Baumann runs the largest American ginseng farm in Wisconsin that covers about 500 acres of land. He has been engaged in ginseng growing for 45 years, and his farm produces 250,000 pounds of the plant each year. Baumann was still an ambitious man during an interview with the People’s Daily last November, saying he would expand overseas business. He also showed around the newly-built staff dorms to the journalist with pride. He would print QR codes on the package of his ginsengs sold to China, and he said it was a special design for the customers on the other side of the ocean. 95 percent of American ginsengs of the US come from Wisconsin. Meanwhile, 85 percent of the state’s production goes to Asia, 80 percent of which ends up in mainland China and Hong Kong. However, the current China-US trade dispute is placing huge impact on the state’s American Ginseng industry. “Imposing the tariffs brings no good to anyone,” said Baumann. He introduced that their business was great with continuously growing export before the US adopted the tariff policy. However, the farmers now have to offer high discounts in order to retain their customers. As a result, the farmers are suffering losses and cannot afford to purchase new equipment and hire new employees, Baumann told People’s Daily. “It is disappointing,” he said. Apart from the American ginseng industry, the cranberry growers in the state do not want the trade war, either. 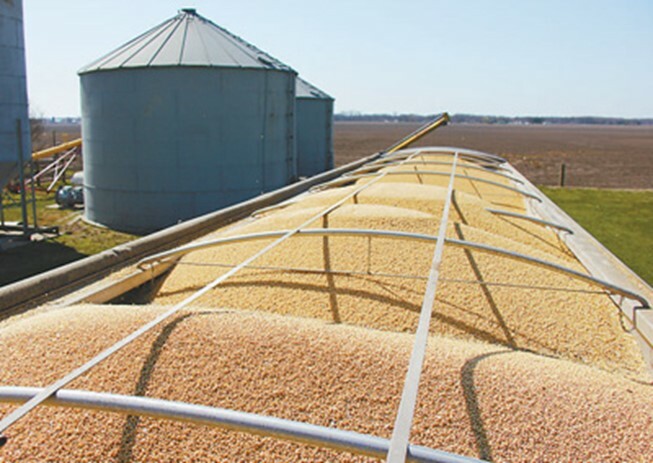 A lorry loaded with soybeans on a farm in Illinois. Statistics released by the Wisconsin State Cranberry Growers Association (WSCGA) indicated that the US exports about 95 million pounds of cranberries, or 12 percent of its total production to the European Union (EU) each year. However, the EU is now levying extra tariff on the US plant as a retaliatory measure against the US government who increased import duties on EU steel and aluminum products. In addition, 90 percent of Wisconsin’s milk is sold out-state after being manufactured into cheese. The milk price, which experienced a dramatic decline in 2014 from a record high, has already impacted many of the US dairy farms. Recently, the industry was further threatened after Mexico announced to slap a 25 percent of tariff on US dairy products as retaliation to the US steel and aluminum tariff policy. Mexico is the largest export market of the US dairy products, with nearly $400 million of imports last year. Not a single state is spared from the damage, with the industrial Midwest and the agricultural heartland states hit especially hard, according to the latest research report by the US Chamber of Commerce (USCC). The report said that the increased tariff has caused damages to the whole US business world, from agriculture to industries, from Wisconsin to the rest of the states. The US-initiated trade war will bring impact to over $1 billion worth of the export industry in Wisconsin, casting shadow on about 800,000 jobs in international trade. The damage will only become worse. Although the US government recently announced an agricultural subsidy plan worth $12 billion to aid the domestic farmers and ranchers whose interests have been hurt by the trade disputes, it is only a makeshift. “We want free trade. 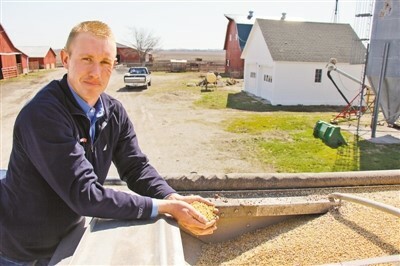 Any aid program, no matter how massive, is nothing but band-aid,” said Bill Gordon, a soybean grower in Minnesota. He believes that the best way to stop the trade war from hurting the US economy is to put an end to the trade war. President and CEO of USCC Thomas J. Donohue recently published an article, saying that the Trump administration has slapped billions of dollars’ worth of tariffs on imports from around the world, provoking retaliatory actions from other nations and boomeranging back to hit US businesses and consumers. He also stressed that the cumulative effect of the retaliatory tariffs could eventually stunt the economic progress of the US. “We like neither trade war nor tariff war. It will affect everyone’s life.” Many Americans expressed their concerns about the trade war. From agricultural to manufacturing industry, all walks of the US society have felt the impact of the tariffs. Both appreciation of the Chinese currency renminbi, or the yuan from 2017 to the first quarter of 2018, as well as its devaluation since the second quarter of this year were driven by market supply and demand, China’s central bank clarified in its second-quarter report on monetary policies issued on August 10. The People’s Bank of China (PBOC) has almost withdrawn its “regular” intervention in the foreign exchange market, which can be evidenced by the changes in the official foreign exchange reserve and the central bank’s yuan funds outstanding for foreign exchange, the report added. China has been making its exchange rate reform market-oriented, giving more play to the decisive role of market in exchange rate formation, and staying away from competitive currency devaluation. The central bank highlighted that as the exchange rate is mainly determined by market supply and demand, the central bank will not take the exchange rate of Chinese currency as a tool to cope with external disturbances such as trade disputes. Instead, China maintains a managed floating foreign exchange mechanism that is market-based and adjusted in reference with a basket of currencies, said the report, adding that as the market-oriented exchange rate reform proceeds, the rate will be more flexible. Currently, China’s economic fundamentals are able to basically stabilize the yuan’s exchange rate at a reasonable and balanced level, the PBOC wrote in the report, explaining that China has reaped positive results in economic restructuring in recent years, thanks to its supply-side structural reform, as well as efforts to streamline administration and delegate power to lower levels, and give play to market mechanisms. In addition, the emergence of new growth drivers, strong economic resilience and a balance in international payments have also strongly supported the stabilization of the exchange rate of the yuan, it pointed out. In the next phase, the central bank will continue to deepen the market-oriented exchange rate reform to maintain flexibility of the yuan exchange rate, give play to the role of price in market supply and demand, and promote self-balance of the foreign exchange market. In addition, in view of pro-cyclical fluctuations that may occur in the foreign exchange market, the central bank will continue to use existing experience and sufficient policy tools to take further effective measures to make counter-cyclical adjustments when necessary, noted the report. It will also give full play to the regulating effect of the macro-prudential policies so as to keep the yuan’s exchange rate basically stable at a reasonable and balanced level, the central bank added. Chinese smart phone makers are expected to take 54 percent of the global market share this year through continuous overseas expansion, according to the latest research by TrendForce, a global provider of market intelligence on technology industries. 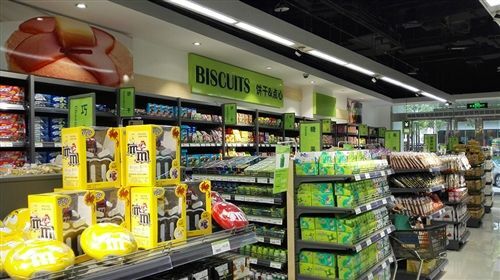 Chinese brands achieved rapid growth in the past few years, and have even broken the market pattern which was previously led by South Korean and American manufacturers, said analyst Yao Jiaxiang from TrendForce. One of every three smart phones sold today comes from China. This conclusion was reached by a market survey organization based on the shipments of major smart phone makers between 2015 and 2017. 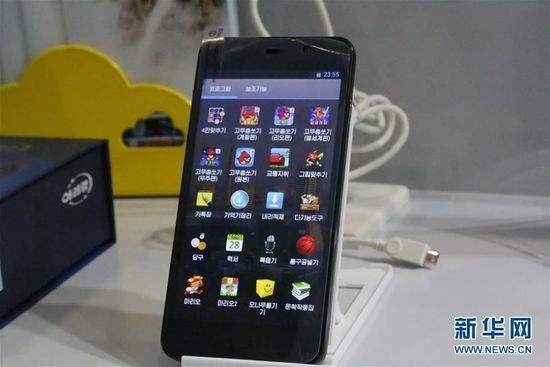 The organization said that nine of the top 12 smart phone manufacturers were Chinese. Chinese smart phones accounted for 42 to 45 percent of the global market share in 2017, according to major data research companies. However, the figure exceeded 50 percent in the first half of 2018 thanks to the overseas expansion of Chinese companies. Their shares were especially high in India, Russia and Europe. One Plus, an emerging Chinese phone maker, achieved a 40-percent share in India’s high-end smart phone market, followed by Samsung who secured 35 percent. Apple was in third place with only 14 percent of the market. However, this was just the beginning for Chinese phone makers regarding their overseas expansion. Rajeev Nair with Strategy Analytics said that in addition to India, the performance of Chinese suppliers in the whole of Southeast Asia was remarkable in the first quarter of 2018. They accounted for over a third of the region’s market share while the figure was just less than a quarter a year ago. Yao attributed the success of the Chinese brands to their pricing strategies that attach high importance to cost-efficiency. However, focusing only on pricing strategies will not be enough to help Chinese enterprises in the global market long-term. 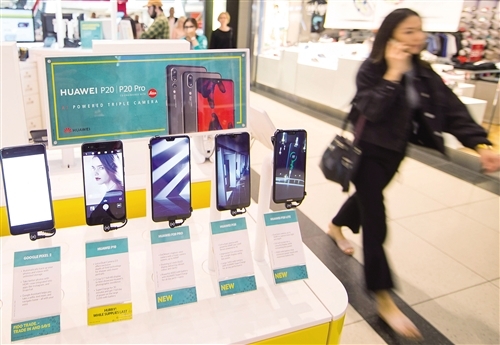 The next phase of competition is a battle among the strongest, so it is a test for enterprises’ capability in globalization, said Zhao Ming, president of Honor, the leading smart phone e-brand under Chinese tech giant Huawei. “Those who make better products and comply with global business rules will go further, and those who go further finally win the game,” Zhao noted. 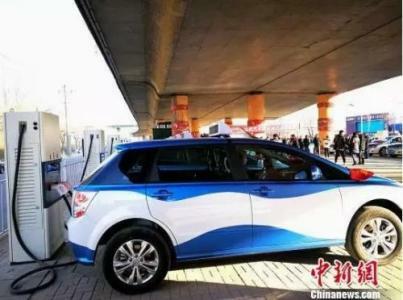 China launched an integrated traceability management platform for batteries of new-energy vehicles (NEVs) on July 31, which experts believe will help promote recycling of numerous batteries in China, Xinhuanet.com reported. Statistics indicate that China has now produced more than 2.1 million NEVs. As China is the world’s largest producer and consumer of these batteries, recycling them has become an issue. Improper disposal of the batteries will not only damage the environment and cause a potential safety hazard, but is also a waste of resources. Implementing traceability management is a major measure to achieve recycling of these batteries, said Xin Guobin, Vice Minister of China’s Ministry of Industry and Information Technology (MIIT). Xin added that the platform will also help to confirm the responsibilities of users in the recycling process, through functions such as information collection and management. To ensure the platform runs smoothly, the ministry also issued a temporary provision on traceability management of the batteries, which will take effect on August 1. In addition, Xin disclosed that the ministry will take further supporting measures to encourage battery recycling. China has previously selected many provinces to pilot battery recycling, including Beijing, Tianjin, Shanxi, Shanghai and Guangdong. South Africa will introduce new visa policies to attract more Chinese tourists, said South African Minister of Tourism Derek Hanekom in a recent pre-recorded video message. South Africa and China both agreed to ease their visa policies, signing many bilateral agreements at the 10th BRICS summit held in Johannesburg on July 25-27. 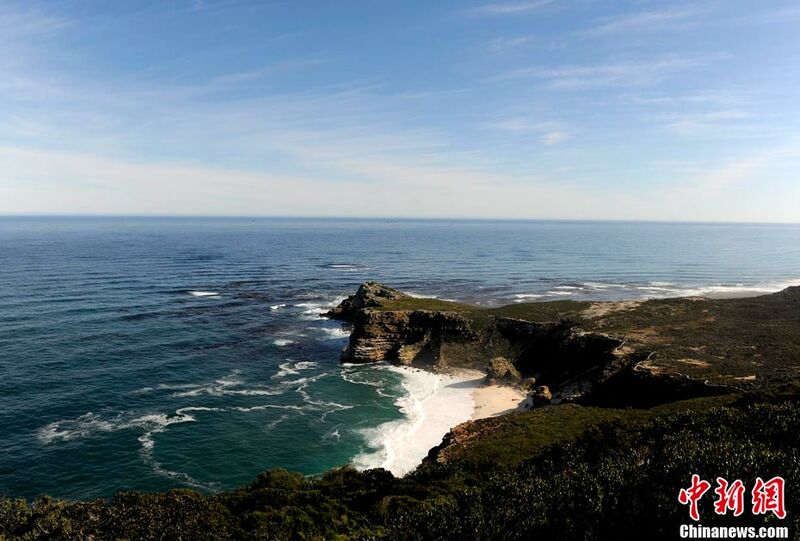 The minister disclosed that the new policies will allow Chinese tourists holding a valid passport and a Schengen visa, U.S. visa or Australian visa to enter the country without the need to apply for a separate South African visa. In addition, the minister explained that the country will strive to reduce its crime rate, to make a friendlier destination for Chinese tourists. Tourism Deputy Minister, Elizabeth Thabethe, emphasized that tourism has played an important role in South African economic development, and development of tourism is sure to benefit both countries. South African tourism from the BRICS countries grew by 6.1 percent during 2017, Chinese tourists making up the largest portion of that increase. Tourism is becoming the driver of South Africa’s economic growth, the deputy minister noted.